1. One of the strongest and clearest messages that come from these times of crisis is the economic and ethical insuffiencency of a capitalism founded on its own interests and on "sad passions". The market economy, in order to be able to continue to bring fruit to civilization, needs a supplement of humanity, of an anthropological and moral refoundation that makes it evolve into something else - an economic system more tailor-made to the person – without having to renounce the values and conquests that the market has brought and brings to the areas of individual liberty and equality. This issue is dedicated to the experience of the Economy of Communion (EoC), which readers will have the chance to know better under various aspects. The EoC is a project of social entrepreneurship involving around 750 businesses, but which is also a more articulate and universal proposal of supportive and relational economic behavior. The inspirational moment of the concrete project took place in Brazil, in May of 1991, while Chiara Lubich, foundress of the Focolare Movement, was visiting the movement´s community of Sao Paulo. However, its roots dig much deeper: into the history of the early times of the Focolare in Trent, during World War II; in the Franciscan charism from which Chiara drew her first inspirations (and her own new name as a tertiary: her baptismal name was Silvia); and in the Trentino cooperative tradition, in which Chiara grew up and was formed. During that trip to Brazil, something new happened, although the novelty needs to be seen in continuity with the history of the Focolare community in Brazil. As in many other movements, the community had already been searching for an answer to growing economic and social descrepancies of this large country for decades. Looking at the scenery of a city which showed the typical contraditions of our development system, skyscrapers surrounded by shacks (favelas), Chiara felt strongly that it was urgent to do something more and something different to contribute to a more fraternal economy and world. She acted concretely, as is typical of women and of spiritual people. Rather than giving life to a study center to elaborate the reasons for poverty in the world, she immediately invited the members of her Movement to begin new businesses, whose main reason for existing would be the desire to contribute through their own activity to reducing poverty, in Brazil and from there in other places. The proposal was immediately welcomed with great enthusiasm and generosity by the entire Focolare Movement. Within a short amount of time, new businesses were coming to life, and others that already existed were transforming. From Brazil, the proposal of what was immediately called the Economy of Communion in Freedom was welcomed by entrepreneurs in various countries of the world. Today, the EoC is one of the concrete ways offered to those who want to imagine and live economy as a space of reciprocity and fraternity, here and now. However, a possible misunderstanding must be immediately clarified: the origin of the EoC was not the need to make businesses more ethical or more socially responsible but, rather, the urgency to give a concrete contribution to a more just world, one with less people forced to live in miserable conditions. The EoC arises from discomfort and disdain with regards to the current model of development or to capitalism. The first idea in the EoC was to look at businesses as "productive agents of wealth" (of profits) and jobs, two elements considered as means of fighting poverty and misery. To respond to the unjust distribution of wealth and opportunity, the EoC primarily turned to and turns to the businesses and not to politicians or non-governmental organizations. This is why, as will be said (above all in the article by Crivelli and Gui which, not by chance, is the first in this volume), the EoC can neither be situated in the for-profit or in the non-profit sector. We may call them "for-project" businesses, with a term that evokes the business "guided by an objective" suggested by Yunus in his book "A World Without Poverty". Besides, for the EoC, a "good entrepreneur" is not only he who creates wealth, jobs, who pays taxes and produces quality goods and services (which is already no small task). In the project, a "good entrepreneur" is he who conceives his own activity as a contribution to a more human, more fraternal, more united world, even while working and operating in the market. Much is asked, then, of EoC entrepreneurs and businesses: to produce wealth in an efficient way, comparing themselves with today´s globalized market; to share that wealth by distributing profits obtained in three parts (one part given to the poor through development projects, one part invested in the formation to a "culture of giving", one part reinvested in the business); to give life to a business community inspired towards concrete fraternity, visible through "governance in communion"; to bring about and sustain "industrial parks" (or poles) that carry out the function of catalysts of the whole EoC movement in a region or country; and to make themselves promoters of cultural initiatives that spread the proposal and culture of the EoC on all levels. However, this task is not left only to entrepreneurs and the actors of the businesses. Students, citizens, scholars, politicians, artists and the poor are all also protagonists of the project. Without them, the project would lose its characteristic of being an economic and entrepreneurial program, as well as something more and different. From the beginning, the EoC was observed by many as a new way of conceiving businesses or the "fight against poverty" but also as a different conception of the market and the economy, understood as the priviledged place in which to live the principles of reciprocity and gratuitousness. 2. This issues aims at presenting the Eoc from different angles. The nine articles that follow are not the fruit of precise programming, based on well-thought division of labor and the assignment of specific tasks to each author. Rather, they represent a kaleidescope that gives a glimpse of a plan through which it´s surroundings redefine themselves (giving life to new figures and games of color) each time that, flipping through the pages of the Journal, the reader rotates the kaleidescope in his or her own hands. The issue opens with a contribution by Crivelli and Gui, which analyzes the EoC project through the lens of various social entrepreneurialship models described by a recent piece of literature on this topic (both North American and European). On one hand, various points of contact and affinity with the three main approaches emerge (with Social Enterprise School, Social Innovation School and Emes Model). On the other hand, it is clearly not possible to assimilate the EoC to any of these models. Therefore, the conclusion of the article appears legitimate: we find ourselves in front of "an ulterior species in the variegated fauna of social economy", which does not, however, lessen the fact that such a comparison be a source of inspiration and provide indications to who is called to define the project´s future orientation. The next article presents the EoC from the Latin American point of view, coming from the land in which the first seed of the project was sown and the social and cultural context (in particular, in Brazil and Argentina) in which the EoC has reached a phase of more consolidated development. Cristina Calvo´s contribution highlights the wounds and the contradictions of this continent, where, more than anywhere, the failure of the capitalistic model is evident, as is evident (more than anywhere) the fecundity of dialogue between the EoC and various currents of economy characterized by solidarity. In Latin America, one strongly feels the importance of recuperating the cultural patrimony of native populations and, as recent Nobel Laureate Elinor Ostrom says, the value of common resource management solutions elaborated by the communities that were the original inhabitants of these lands. Vittorio Pelligra presents a lucid analysis of what can be considered the most solid contemporary theory on social justice: that of John Rawls. For it´s contractual matrix, Rawls´theory has been object of authorative criticism (first of all, Nussbaum and Singer), which has exposed a few deep contradictions. According to the author, the EoC has an original contribution to offer to whoever is searching for a way to overcome two questions in particular: the problem of outcasts and the question of global justice. Bruni and Smerelli´s knowledge of the concrete experience of many EoC businesses was fertile ground for drawing the inspiration necessary to elaborate a theoretical model capable of offering important indications for all organizations with ideal motives. In order to go ahead, these organizations must know how to conserve the intrinsic motivation and ideal charge (in a word, their vocation) of their members over time. This is why it is fundamental that they are prepared to adequately face (and govern) crisis situations, in order to avoid that a crisis (and the eventual loss of very motivated members) leads to a deterioration of the motivational capital of it´s collaborators, a situation that would inflict a mortal wound on the organization itself. The second part of the issue exhibits articles focused on the businesses and two case studies. In recent years, reflection on how to orient businesses towards communion has grown within the project. This is an aspect that defines the culture and very identity of EoC subjects and which can and should impact their business mission, organizational strucure and the instruments of management applied in the business. Under this lens, the contributions of Parolin and Golin and of Giuseppe Argiolas represent a good synthesis of theoretical reflection and good praxis of the project. Both articles highlight the effort to overcome the organizational isomorphism typical of capitalistic business. They draw from the Focolare Movement´s patrimony of life experience and thought to attempt at finding an unprecedented way ahead - one that is fruit of the mediation between the spirituality of communion and the carrying out of operative solutions capable of making fraternity a possible experience in businesses, without harming the good functioning and efficiency of decisional processes in the meantime. The two case studies are very different from one another. The first presents the experience of a rural Philippino bank, from the viewpoint of Teresa Ganzon (who is the managing director of the bank). We thought it was important for this issue to include an Asian perspective, to reaffirm the global and multicultural nature of the project. The article, translated from English by the Journal´s editing staff, tells the history of this small bank that knew how to combine its belonging to the EoC project with microcredit activity, revealing itself as a particularly efficient instrument for helping many needy in the Philippines out of the poverty trap. The second case study deals with the Italian industrial park, or pole, located in Tuscany (in the town of Burchio) and inaugurated in 2006. The article written by Nicoló Bellanca, Renato Libanora and Enrico Testi is the synthesis of a study commissioned by the Banca Populare Etica to systematically and neutrally evaluate (through focus groups and participative SWOT analyses) the experience of the Polo Lionello as a "district of civil economy." Therefore, the study deals with an external evaluation of the EoC which is very precious as it guarantees a lucid and neutral point of view, capable of identifying the hidden dangers present in the path towards becoming a district and indicating possible ways to avoid problems. The collection of articles concludes with a contribution by Luigino Bruni, who traces the profile of an entrepreneur oriented towards communion. Reconnecting to Schumpeter´s work on the virtues of the entrepreneur, as well as on further endowments highlighted by the tradition of civil economy, Bruni affirms that the entrepreneur oriented towards communion is called to live a more complex vocation, in some ways contradictory. The communion-oriented entrepreneur wishes to keep a balance between apparently unreconcilable perspectives: autonomy and the dynamism and inclination towards risk-taking, which qualifies him as an entrepreneur, and for the fact that he feels called to generated an experience of communion in his business, the perspective of "responsibility" and openness to others while making decisions. 3. Today, eighteen years after its beginning, the EoC continues to develop, even beyond the confines of the Focolare. Other ecclesial realities are drawing on the EoC to inspire their own economy life, and civil society (for example, the State of Cearà in Brazil) is also looking at the project with interest, as a paradigm for uniting market values with solidarity. There are 750 businesses that adhere to it (according to the last Census in 2007) 1, of medium-small size, mainly concentrated in South America and Europe, although there is also significant number in the United states and Asia (above all, in Korea and the Philippines). 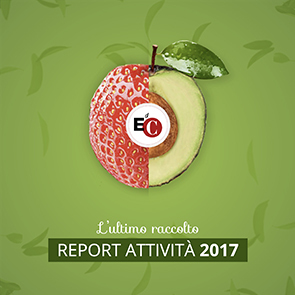 The businesses are primarily traditional businesses, even if there are also a number of social businesses (like the group of social cooperatives "Roberto Tassano" in Liguria and Tuscany, and the Association "Per Tutti"). In 2001, the project of the Polo Lionello Bonfanti took off in Italy, near Florence (Loppiano), which has been operative since 2006 with more than twenty businesses and has marked an important step for the EoC movement in Italy and in Europe. Altogether, there are seven industrial parks, or poles, located in South America (Brazil and Argentina) and in Europe (Belgium, Croatia and Italy). Since the beginning, theoretical reflection has accompanied the development of the businesses and the industrial parks. In 1992, the first graduate theses began, soon followed by the organization of conventions and seminars. Today, there are more than 300 theses that discuss the EoC, including a few at the doctorate level. A significant fact in this regard is the reference to the Economy of Communion in Benedict XVI´s encyclical Caritas in Veritate (n.36). The academic community has looked and is looking at the project´s evolution with interest, as this Journal gives witness. If the words gratuitousness, unconditional reciprocity and fraternity have entered into the vocabulary of economic theory, it is also thanks to the research program that surrounds the EoC project. This is the reason that the EoC is a vision of economy as a whole, a proposal of economic behavior, an ethos, a culture. In conclusion, we want to thank Carlo Borzaga and Luca Fazzi, as well as Federica Silvestri and the editorial staff at Impresa Sociale, for having courageously asked us to organize this unique issue and for having allowed us more than one deadline extension. A special thanks goes to all the contributing authors who accepted various re-edits and revisions of their texts and to the participants of the Forum. Our wish is that the readers appreciate our work and that greater knowledge of the EoC be an enrichment to the whole social business movement.